Before we begin with the Part V of this series of articles which shows how to make a Project Tracking Website using AngularJS and Web API, let us quickly recap what we have covered so far. So far we have introduced AngularJS, created a REST based service using ASP.NET Web API, have dived into AngularJS Controllers which fetched data using ASP.NET Web APIs and Entity Framework Database Modelling First and have also seen how to design views using Angular JS directives to design interactive web pages. We have explored ng-repeat, ng-show, ng-model and ng-submit directives. We have also seen how to use filters with AngularJS directives. This is the fifth article in this series. In this article, we will see how AngularJS Services plays an important role in our development. We will separate the HTTP service call into AngularJS service and use it by injecting it into our Controllers. 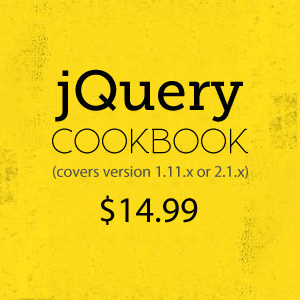 To invoke the local store stored in a browser or manipulate cookies. When the logic of your application does not fit in Model/View/Directive, you can make use of AngularJS services to implement application logic. You can make use of these services in a controller, a directive or even in another service. service: A service is defined as a type and all members to be added to the service object have to be added to the type instance using the this keyword. providers: Providers are lower level services. Every factory and service is internally registered as a provider. Every provider should expose a member named $get. The contents of $get block are exposed as a factory and they are accessible in run blocks, controllers and other services. The members that are directly added to providers are accessible only inside the config block and inside other providers. value: A value is a simple object. We can’t inject any dependencies inside a value. constant: A constant is similar to value; except it is accessible inside providers and config blocks. When you implement your application logic in services, it very easy to unit test these services. You can also build your own custom services to implement reusable logic which you can use later in your applications. We have already seen the $http service which can make a request to server side APIs to pull data from or push data into a server. The server in turn may save this data inside a data storage like database. Similarly, there are a number of services which AngularJS provides like $window, $browser, $animate, $anchorscroll etc. that address common problems. We will now build a custom service to move some logic out of our controller. We will separate the HTTP calls into a separate service and then use the same into our controller. This way testing of our logic will become much easier and it will open a wider range of scenarios to use this service, into various controllers and directives. The employee function makes a call to our ASP.NET Web API using get method of the $http service. This service will return a promise. We are using the then() method of the promise and returning the raw data. The same implementation is there in our SearchEmployees method; which takes an EmployeeName as a parameter. Then we are registering the service with our AngularJS module and making the service available to all the controllers and directives at the end. The service factory function generates a single object or function that represents the service to the rest of the application. 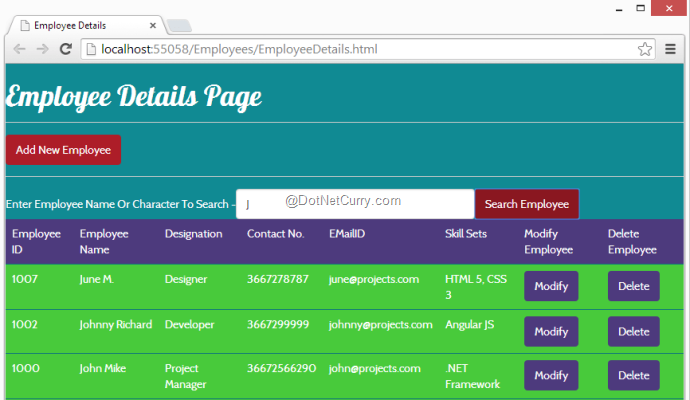 Note: Please include EmployeesService.js file into your view EmployeesDetails.html after the app.js file.This is because in app.js, we have our AngularJS Module “ProjectTrackingModule” defined and the service is registered to this module. We will also have to modify the views to display all the records of Projects, UserStories, ProjectTasks and ManagerComments tables data. So we will make use of ng-repeat directive to iterate through the data and display the same in our Views table respectively. Now you have seen how easy it is to build a custom AngularJS services and use them in your application. We will continue to invest our time to modify these services when we will start implementing CRUD operations on our database tables using ASP.NET Web APIs. In the next article, we will take a closer look at how to use routing in AngularJS, the role of routing and configuring routes in our Project Tracking application. In this article, we have seen how AngularJS services which is available out-of-the-box, can help you build your applications. We have seen $log and $http services so far. 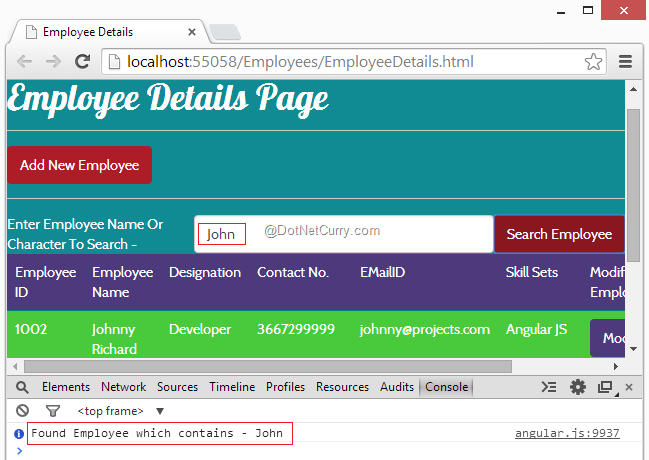 We have also seen how to build Custom Services in AngularJS and use it in our Project Tracking website.